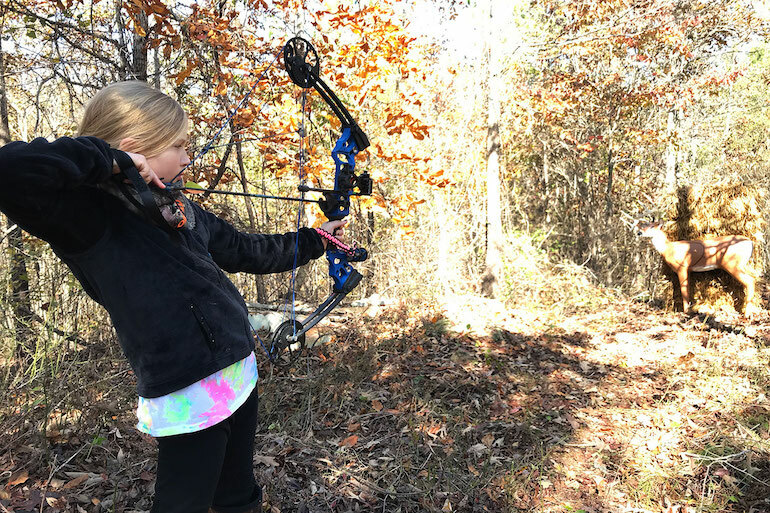 If you love to bow hunt, there’s a really good chance that passion was born out of a love for archery. Perhaps it's the other way around; your passion for shooting was created after you shot (or missed) your first deer. Either way, one complements the other — it’s a good way to live. There isn’t an archer out there who wouldn't benefit from more and consistent practice. The only way to maintain a skill like that is to shoot, and shoot often. Plus, I’ve learned that time behind my Mathews actually makes me feel good. Truer words have not been spoken, as far as my archery-loving mind is concerned. Regardless of where you call home, you can likely get creative and find a place to put up a 3D target, or five. 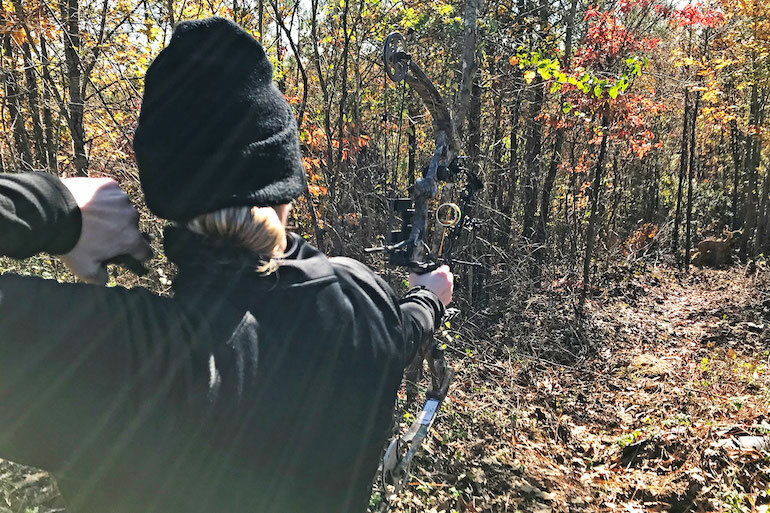 There really isn’t a better way to keep your skills as sharp as your broadheads than to shoot 3D targets on a regular basis. 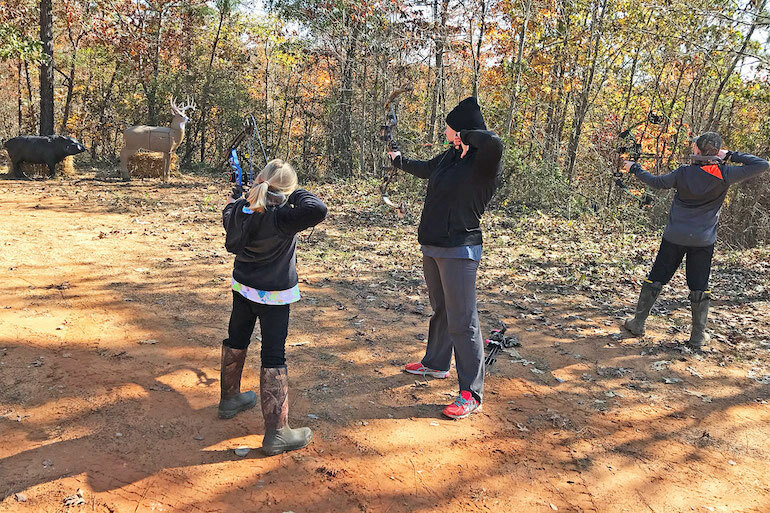 If you’re a member of an archery club, or hunting club there are probably places to go shoot, but what about in between visits? Is there a better place than your backyard? In most cases, it can be accomplished, but you may have to get creative. If you love flinging sharp sticks at deer or cardboard, the realistic 3D targets below make perfect sense for your personal talent production in your backyard, or wherever you can manage placement. And they won’t break the bank either. I set up each of the following four targets, and put them through a detailed test to determine penetration and durability. 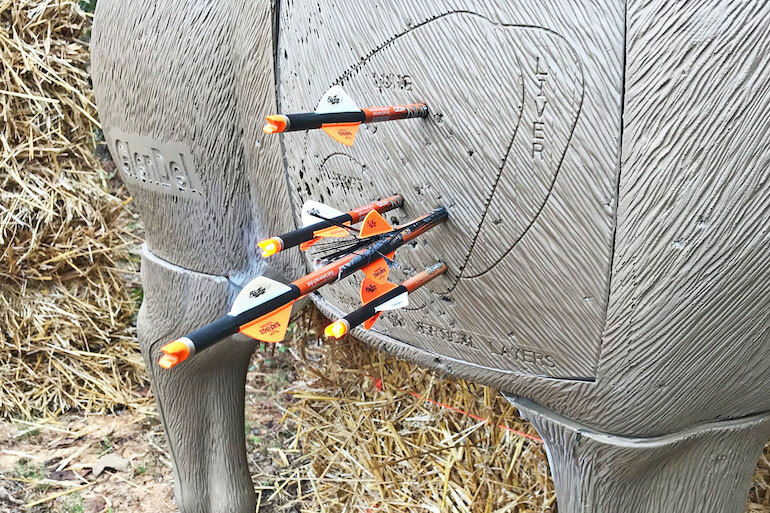 At 20 yards, I shot each target 50 times with a Mathews Triax tuned to 70 pounds shooting Carbon Express Maxima Blu 350 grain arrows measuring 33 inches in length driven by a 100-grain field point. I also shot three of the targets 20 times at the same distance with a Ravin R10 crossbow. The bolts measured 20 inches nock to point. By measuring penetration of every single arrow and bolt, I was able to determine an average penetration measurement, which is a fine indicator of the stopping power and lifetime durability of each target. It’s also worth mentioning that the less penetration a target may sustain, pullout power can also be an issue. I rated pullout on a scale of 1 to 10 with 1 being super easy and 10 being impossible. After a deep-testing cycle, the following targets pass the test on all fronts making each a fine investment for your backyard. The Glen Del buck series of targets feature Open Layered Polyfusion Technology, and that means durability and easy arrow removal. By fusing the internal layers together, the inner target wall results in more uniform layer compression, which means longer target life and less shooter fatigue. The series is available in three sizes: Full Rut Buck, Pre-Rut Buck and Buck. 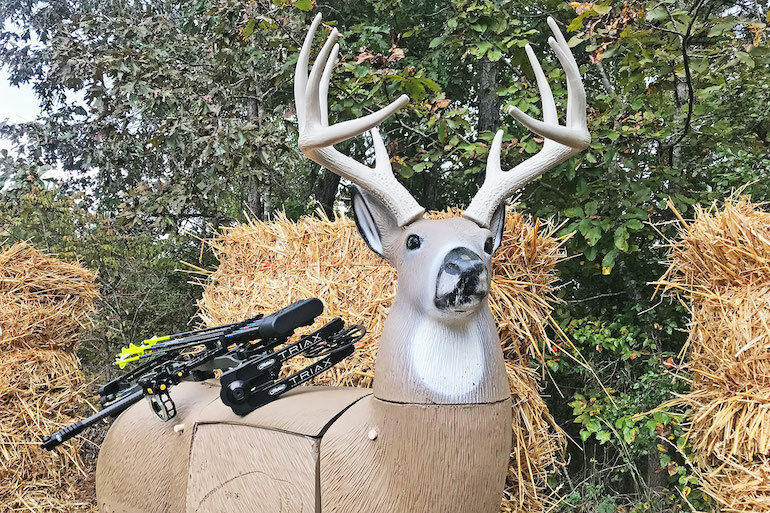 BigShot offers a full line-up of 3D targets that would appeal to world-class target archers as well as bow hunters looking to add a little practice to their routine. The BigShot Back Yard Buck is very durable, with lifelike features that are quite eye appealing. New out-of-the box, this target is not ideal for crossbow shooters, after it’s been broken in, crossbow bolt removal will be much easier. 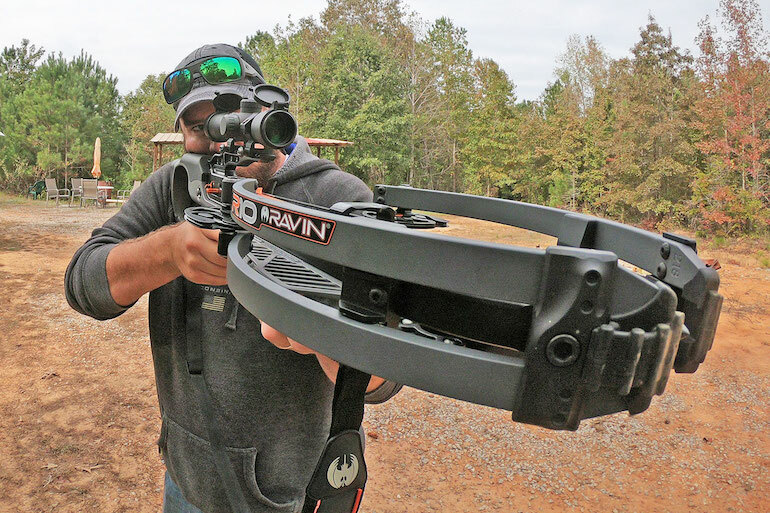 BigShot offers plenty of ideal crossbow target options. 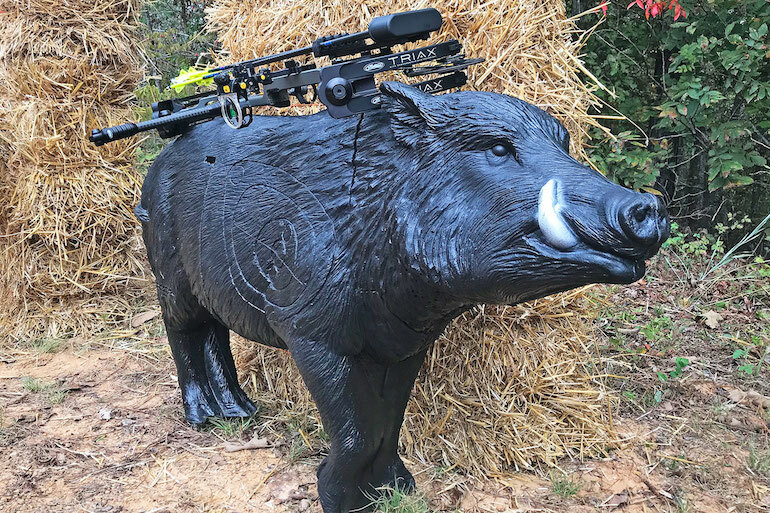 A part of the Backyard 3D Archery Target Series, the Wild Boar 3D Archery Target is a perfect selection for lifespan and economy. While it was designed for backyard archers, it also fits the bill for serious competition archers and archery clubs. 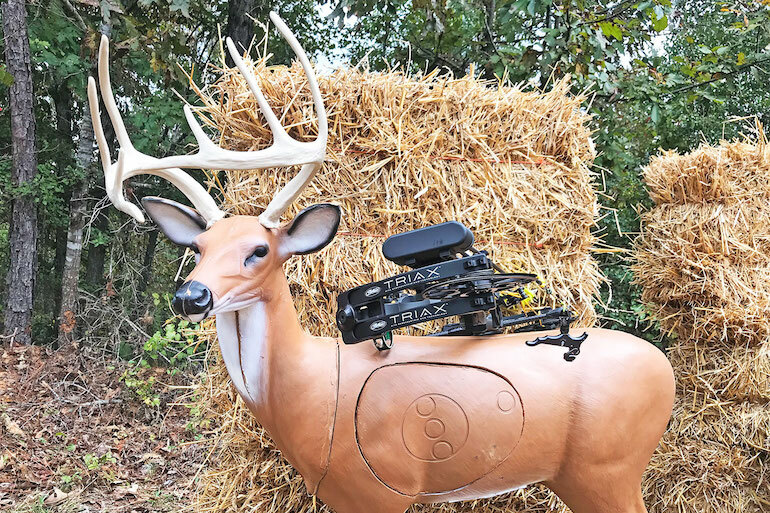 The target is made from FlexFoam, which is light in mass, but can take a pounding from the heaviest of bows, yet allows for easy arrow extraction. The UV coating is an added benefit to help protect the target from the elements. 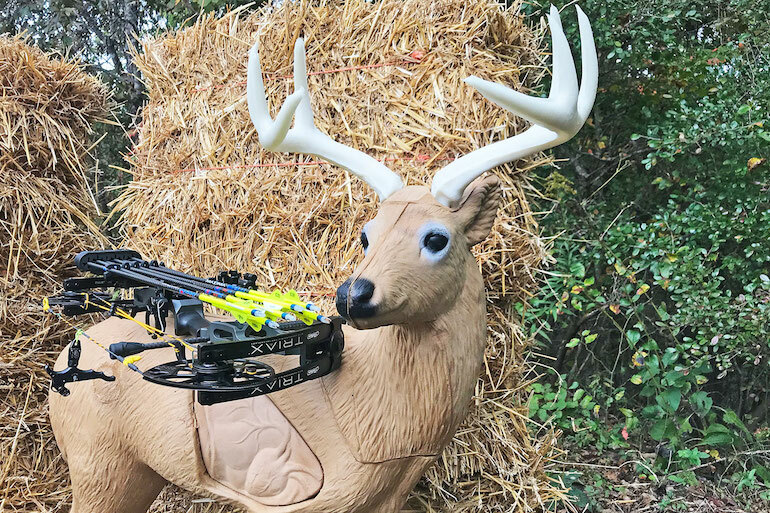 Made of new self-healing foam for superior durability, Bass Pro Shops’ lifelike BlackOut Deer Target helps keep you shooting well in-season or out. The realistic body shape and side, plus the vital core with heart and ventricles visible on the outside will help you aim true every time. 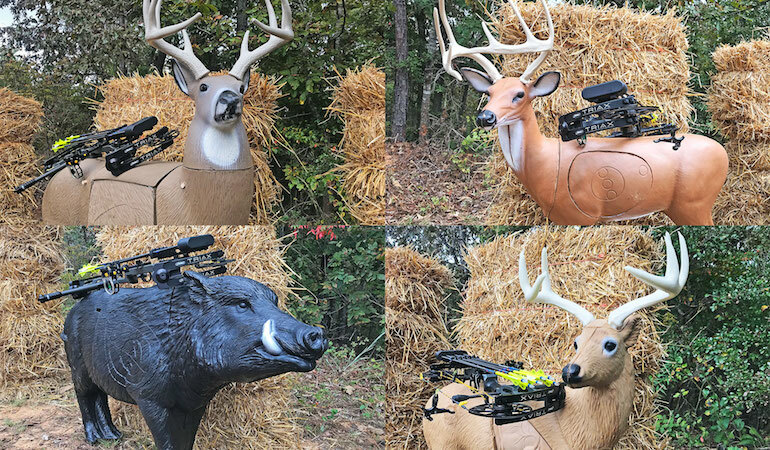 There’s no reason to put up only one 3D target in your backyard when you can set up several — or even more — to have the full 3D-range experience. Each of the companies listed above offer quite a catalog of fun targets to add to your practice time. The bottom line is simple: We wait all year for that one chance at a life-changing buck. The last thing you want is to miss it because you weren’t prepared. 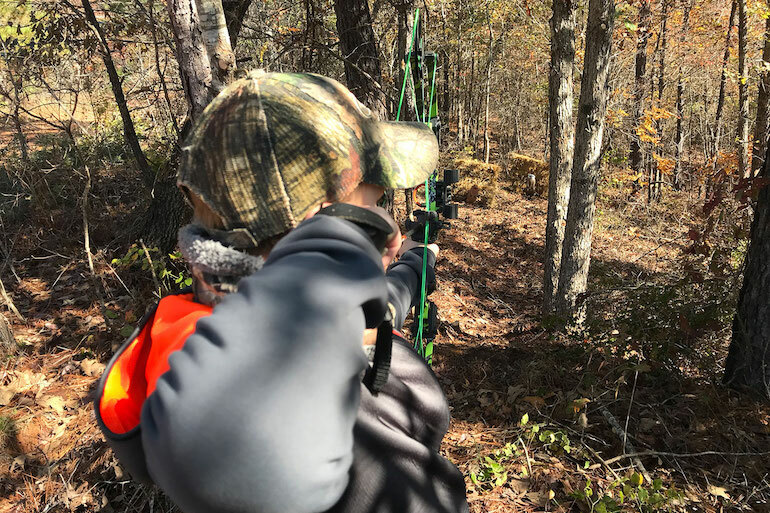 Put up some targets in your backyard and keep your skills sharp, and when that opportunity presents itself, you’ll be ready to let the air out of him.